SEATTLE, September 25, 2018 - Today Panorama, an action tank working alongside partners to drive action on major social issues, released “Understanding the Business Impacts of Paid Leave,” an employee resource modeling the potential costs and benefits of offering paid family and medical leave (PFML). It outlines the publicly available data around the investments and returns of employer-driven paid leave programs and will inform a PFML working group, Working Family Business Alliance, led by Panorama and Nestlé USA, launching at the 2018 Concordia Summit. For U.S. businesses, cost of implementation is the leading barrier to paid leave adoption. Business leaders lack the data to understand the range of costs required to implement paid leave, or how a policy could impact the company’s bottom line. Additionally, while PFML undergoes rigorous analysis prior to adoption, employers rarely evaluate the business returns after implementation. “In the absence of broad local or national policy it is U.S. businesses that play the most critical role in providing for the needs of workers,” said Kimble Snyder, director of workforce initiatives at Panorama. “They are doing this without an accurate picture of what benefits like PFML mean to both workers, and their bottom line. To increase access to paid leave, we have to change that. In addition to a summary of available data, Panorama’s resource includes a framework illustrating the complex system of elements that lead companies from the starting point of making an investment into a PFML program, to returns and, perhaps most importantly, to the levers that help guide employers to intended outcomes. To put these learnings into action, it will serve as the baseline for the Working Family Business Alliance. The resource and framework also supports the Paid Leave Pledge, which launched in June 2018 and calls on companies to make a commitment to publicly share data on the impact of their PFML programs. Throughout a yearlong cycle, this consortium of businesses – which includes Nestlé USA, SAP, Union Square Hospitality Group, Burton Snowboards, Limeade, TCG, and Busboys and Poets – will share strategies and best practices, leading to the release of data impacts in summer of 2019. Concurrently, businesses that wish to participate but cannot commit to publicly sharing data, can join an anonymous data-sharing cohort. Panorama is an action tank working to solve global problems through audacious thinking and bold action. We bring together diverse perspectives to spark new ideas that create change on issues affecting people, the planet and productivity. Based in Seattle, Panorama is a team of strategists, advocates, campaigners, analysts, storytellers, resource mobilizers and organizational designers with deep experience in foundations, non-governmental organizations, private companies and public institutions. Sunday, Sept. 16 is National Working Parents Day - a day to celebrate those who balance both providing for, and raising the next generation. Flextime: Flex-time offers workers the ability to create periods of work without interruption while being able to take care of non-work commitments. BambooHR offers what they call an ‘anti-workaholic’ policy for their team along these lines. They note that the policy allows for those precious moments that don’t come around often – like a ballet recital, as well as accommodating demanding and shifting schedules. Paid Family and Medical Leave: Over the past few years, there has been a heavy increase in companies adopting and expanding paid leave policies. Across a variety of industry and for a number of reason, these businesses see that they can better attract talent, curb attrition rates, and increase engagement. Spotify has a leading policy, offering six months of paid leave plus one month for flex schedule as parents return to the office. Childcare: Childcare today can cost more than instate tuition in many places, and access and quality are challenging as well. As companies respond to the needs of their workers, some have taken the charge even beyond backup-care, on-site facilities, and subsidies. We are now seeing ‘infants at work’ policies – these allow employees to bring their newborns to work, and have been implemented by around 200 organizations. Among them, Badger Balm who offers parents the opportunity to bring infants into work up to the age of six months or until they can crawl, whichever comes first. 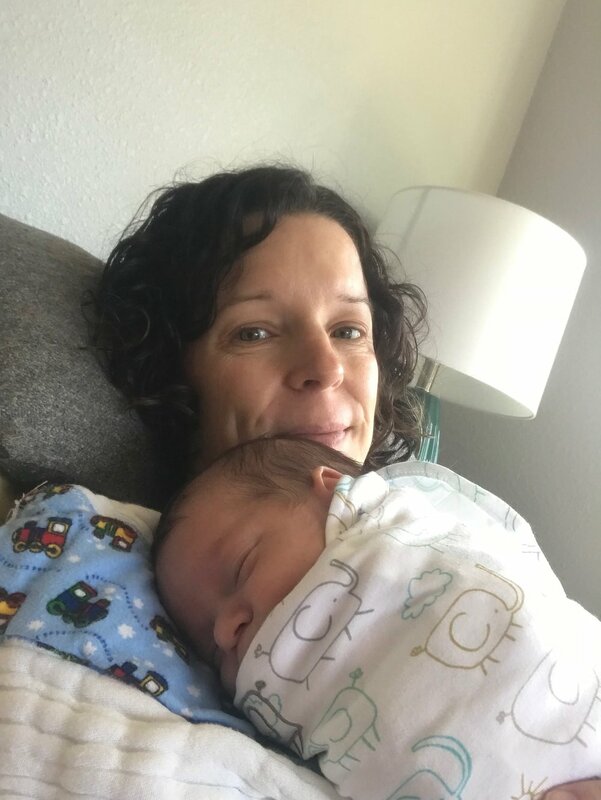 Lactation Support: Beyond making space for and ensuring a culture where nursing moms feel supported, like we do at Panorama, companies are working hard to find new ways to support the specific challenges that face new moms. Zillow has stepped up their lactation support to include covering the costs of shipping breast milk, for those moms who have to travel. Concierge Services: Looking to recruit some new talent into your office? Companies are considering concierge services as one way to ensure employees have support when managing the pull of work life balance. Ad agency BVK has found that by offering a concierge service to their employees, the lives of their employees are simplified, and therefore allows for more engaged and productive employees. We hope you’ll join us in saying thank you to the many working parents who have taken on a variety of competing priorities to raise the next generation –with that in mind, make this day an important occasion by highlighting the workplace supports you offer. In early September, Panorama and the American Sustainable Business Council (ASBC) came together to co-host a webinar for U.S. business leaders on, Understanding the Business Impacts of Paid Family and Medical Leave. It’s no secret that one of the biggest upfront barriers to the broad voluntary adoption of paid family and medical leave (PFML) is cost. And, while the benefits of PFML are often cited in relation to improving the health and financial security of workers, its impact on the bottom lines of businesses is often overlooked. By joining forces, Panorama and ASBC challenged business leaders to think about how to put numbers alongside the belief that ‘doing good’ means seeing positive business outcomes. In addition to John Minor from ASBC and Kimble from Panorama, Emily Hall Warren, Director of Administration for Badger, joined as a guest speaker to discuss how her company has been working to offer paid leave and other family-friendly employee benefits to their workforce. The conversation offered a preview of a new report from Panorama (to be released Sept. 18, 2018) focused on understanding the business impact of PFML. Based on publicly available data outlining investments and returns, Panorama created a report, and framework, to help companies understand the impact of their PFML policies. Warren and Minor where able to shed light on the importance of company leadership in workforce initiatives, idea policy offerings and gender equity, and how outcomes vary by business size, especially across small businesses. Listen to the full webinar here. Due to technical glitches in the original recording, portions of this webinar have been re-recorded for audio clarity. Panorama’s Paid Leave Pledge invites businesses to commit to track and publicly share data on the business impacts of implementing paid family and medical leave policies. Join Nestle, SAP, and other high-road employers in improving the evidence base around the return on investment of paid leave programs. Panorama’s Anonymous Data Sharing coordinates companies to share data for an anonymous, aggregate level benchmarking analysis that will look at how returns from paid leave policies vary by business size, workforce makeup, industry, policy structure, and more. ASBC’s Paid Family and Medical Leave Campaign focuses on a goal to pass a Federal paid leave law that is comprehensive, responsible, and inclusive. Current Federal law is not meeting the needs of modern businesses and employees, so ASBC is advocating for a new law to respond to today’s market.